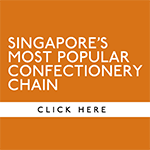 Flavour First – A new way of farming. Michael Mazourek is not your average horticulturist. 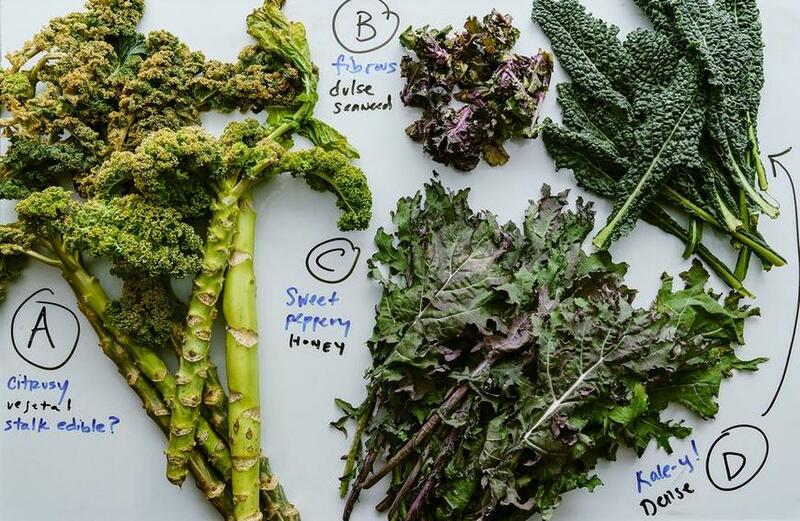 For the past couple of decades, Michael has been reimagining how we see vegetables, and it is mind-blowing. Michael’s job is to breed seeds for farmers so that they can grow their crops. Farmers typically have preferences for the type of seeds they want to buy. Traditionally, they want seeds that will produce high yields of produce, or seeds that are resistant to disease and insects for example, and because demand dictates supply, this is what Michael’s focus was on. Until seven years ago, when he met a chef called Dan Barber and the game changed. I mentioned at the start that Michael was not your average horticulturist – he is in fact also an associate professor in Plant Breeding and Genetics at Cornell University. He was amazed that no-one had ever asked him to breed for flavour before. Which seems ridiculous, but at the same time, totally makes sense. Our world is one where everything needs to look pretty and make maximum profit. However, a chef and a seed breeder asked the simple question, what if, instead of yield, shelf life and uniformity, we started with what’s delicious? 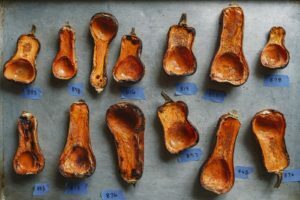 It seemed serendipitous as Michael had already been working such a concept, and had developed a smaller, more intense butternut squash, called the Honeynut squash. Unfortunately, farmers and growers just weren’t interested. There was no demand, it was too small, and the Honeynut squash remained unwanted and misunderstood for many years. That was, until Dan Barber and his culinary team got hold of some. Barber dry-roasted them at high heat, caramelizing the interior, so it didn’t need brown sugar, or anything other than the squash’s natural sweetness. The result was spectacular. Honeynuts have an intense natural sweetness that becomes rich, caramel-y, and almost malt-like when roasted at high heat. Furthermore, they require no peeling, and they have had three times the amount of beta-carotene crammed in. They have an exterior of deep golden honey and an inherent sweetness. A new breed of vegetable was born. 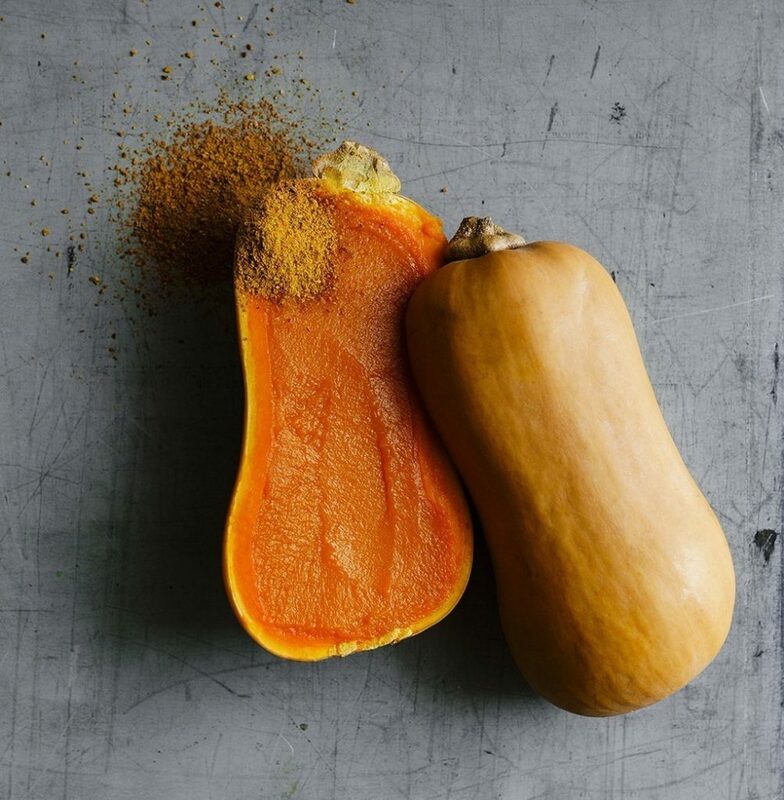 Barber served this new Honeynut squash at the G9 Chef’s Summit and Massimo Bottura, and Rene Redzepi were among many chefs that fell in love with this new ingredient. 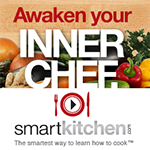 This is where the strength of celebrity chefs’ marketing muscles can be seen. From an unwanted product with zero demand the Honeynut is a vegetable that 90% of farms now grow, and are available at most Whole Foods and Costcos from coast to coast. 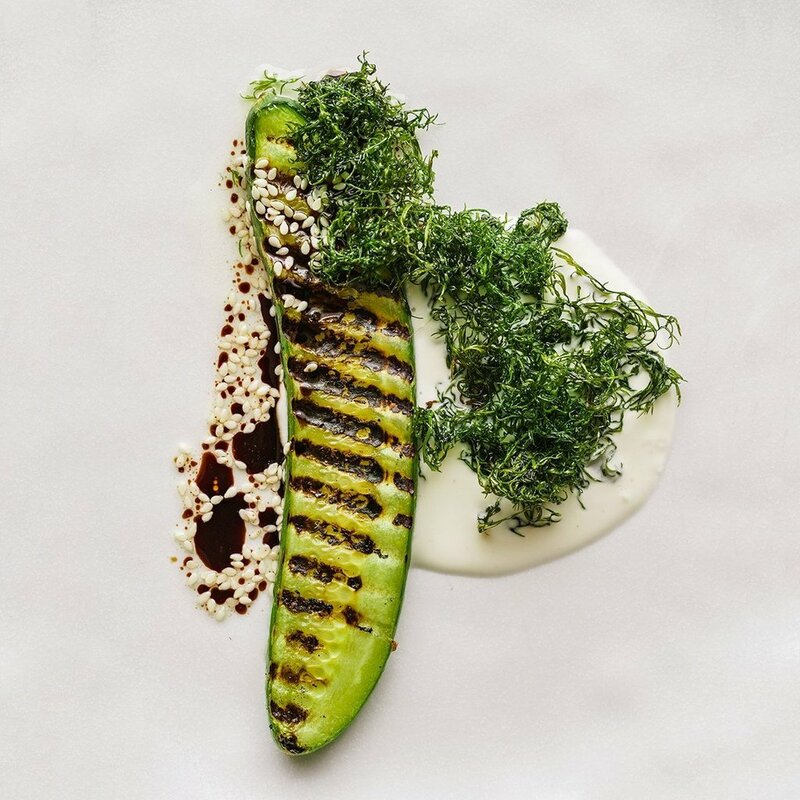 Encouraged by what this simple little vegetable had done, Chef Barber, seed breeder Mazourek, and seedsman Matthew Goldfarb decided to keep going. They created a company called Row 7 Seeds, and are developing seven types of seeds, focusing on flavour first. Well, back in February of this year, after seven long years of organic, GMO-free breeding, these seven seeds are available for purchase, for farmers, both commercial and amateur alike. I’d like you to meet the Magnificent Seven. The 7082 Experimental Cucumber, intense green with a slight bitterness that enhances the aroma and flavour dramatically. 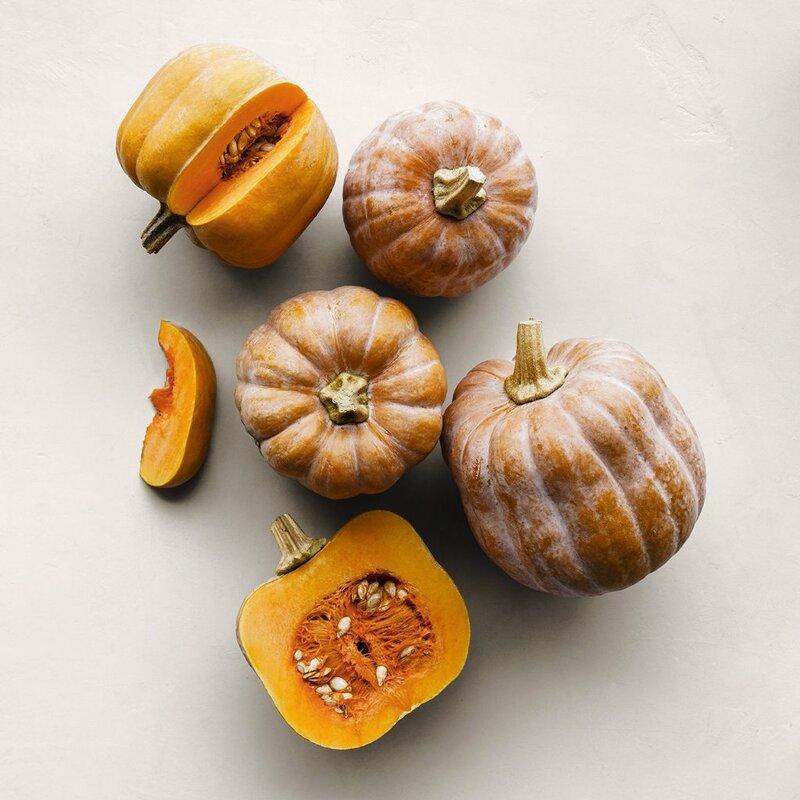 Robin’s Koginut Squash – a cross between two squash varieties revered by chefs, is sweet, intensely squashy and delicious. What’s more, this squash turns from green to bronze on the vine, so you know exactly when to pick it. 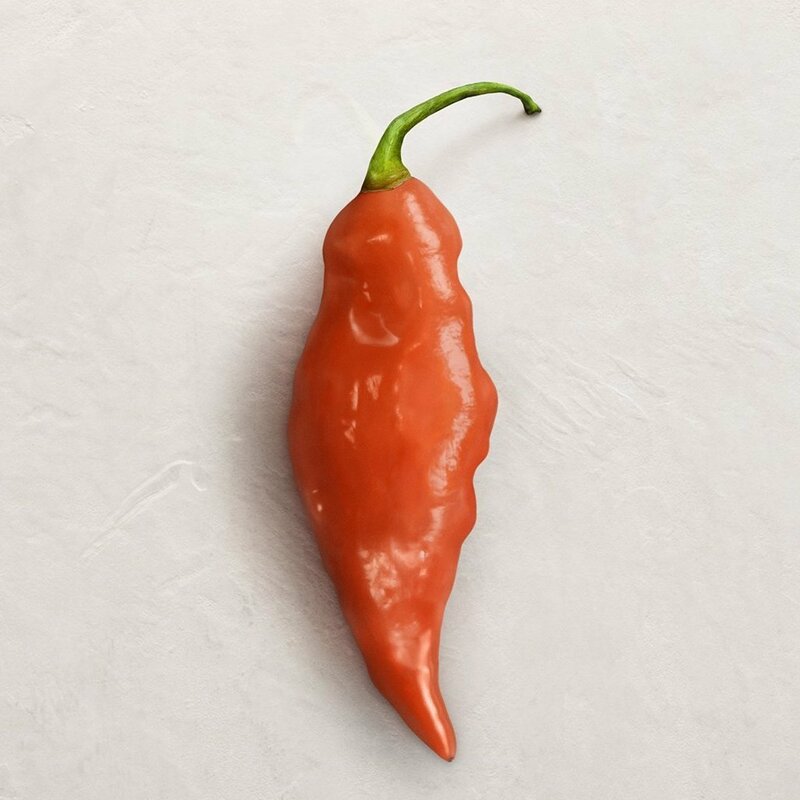 The Habanada Pepper – a pepper that has all the floral sweetness of the famous habanero, but with none of the heat. It’s aromatic with a lingering sweetness and defies everything we’ve come to expect from a pepper. 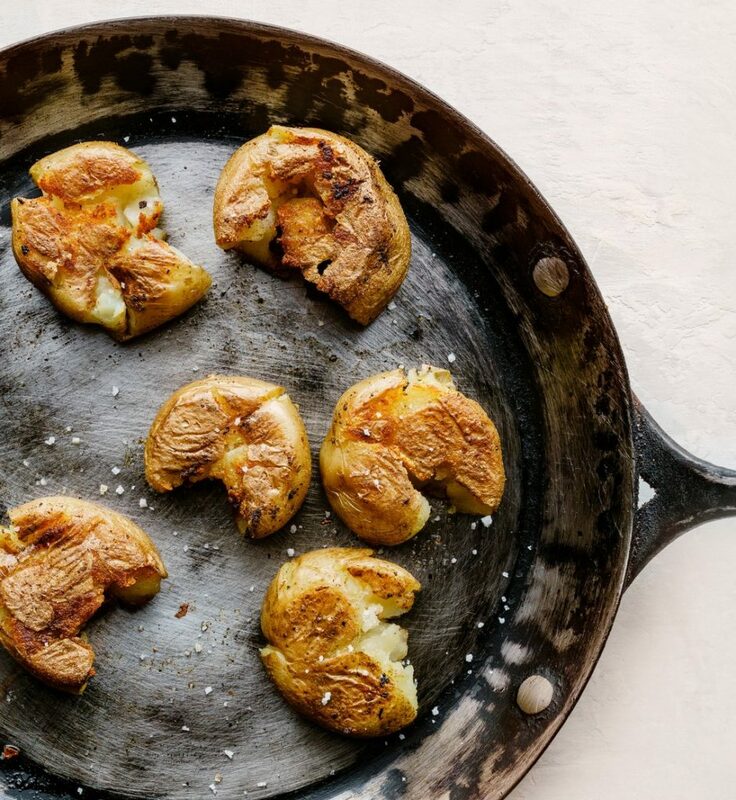 The Upstate Abundance Potato – golf ball sized with bright white flesh, these potatoes are creamy, buttery and nutty. With Dubai farmers starting to experiment with advanced farming methods, it would be wonderful to see them perhaps growing a few of these exciting new varieties. 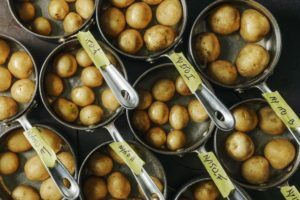 As we know, imported vegetables are often tasteless and can lack nutrition, and it is initiatives like this that can elevate Dubai’s culinary industry to new levels. These seeds are all available online to purchase. 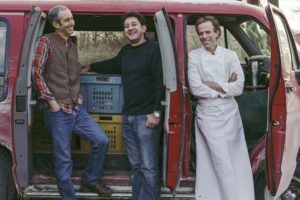 They are organic certified, GMO-free and more importantly unpatented, meaning Dan Barber and Co. encourage farmers to continue this exploration into flavour first farming. At a time in our history, where good health is diminishing and there is a growing argument that more vegetables and less meat is a better diet for our species, these seven seeds could be the start of something truly game changing.